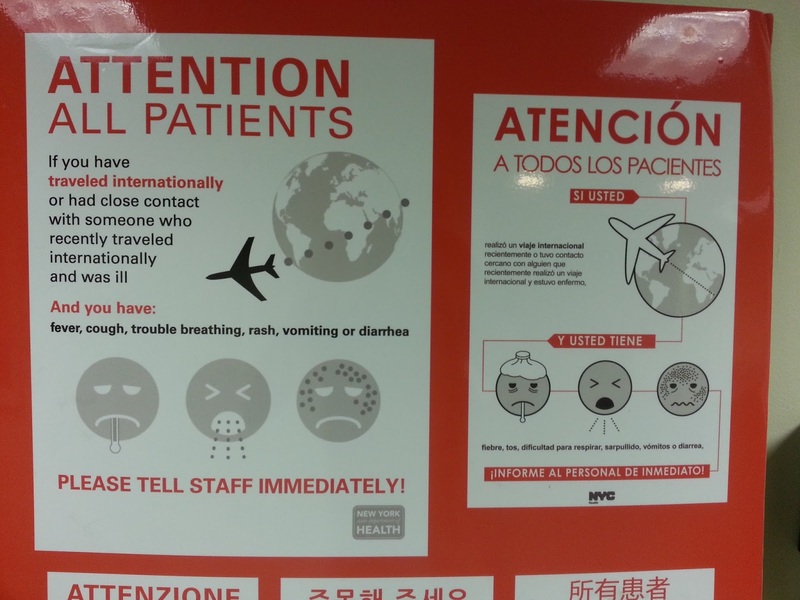 I found these signs at Lenox Hill Hospital a bit of a mystery. Why is the iconography in the Spanish translation different? Do Spanish-speakers wear old-fashioned ice bag on their heads when they have a fever? Are they more likely to have bags under their eyes? Does their vomit not come from the middle of their mouths but from below? And do they experience a different kind of misery when they get rashes (a squiggly-line kind of misery rather than a frown?) Their airplanes, which apparently tend to be white rather than English-speakers’ black planes, seems to travel in straighter lines too. The sign offered its warning in many other languages. 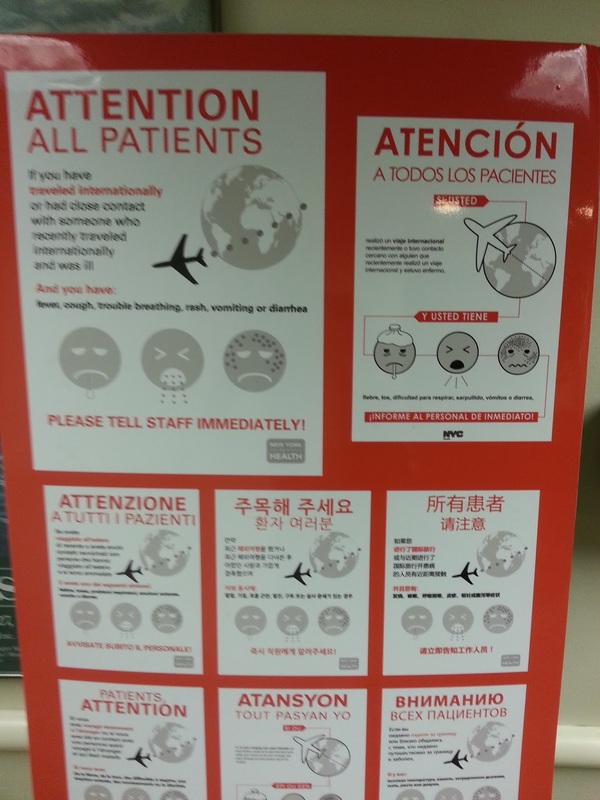 You can see from the image on the left that most people travel in black planes and don’t wear old-fashioned ice bags on their heads except for Creole speakers.